See what tasks are most time important when you're on the go! 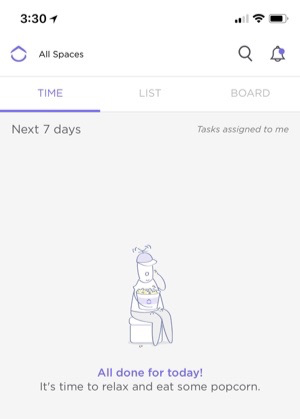 In Time View, tasks are sorted by date so you know exactly what to work on next. For tasks to appear here they must have Due Dates in the next 7 days (or overdue) and you must be an assignee. 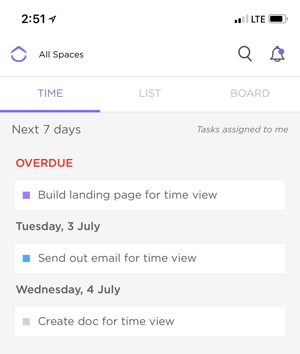 Make a workflow that enforces Due Dates for all tasks. Add yourself as an assignee or create some new tasks and set that due date! Have suggestions? Please let us know on our feedback board here!